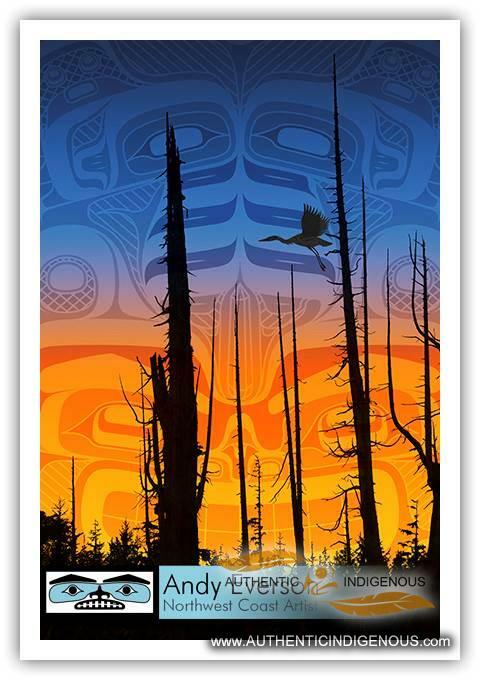 Although he began drawing Northwest Coast art at an early age, Andy’s first serious attempt wasn’t until 1990 when he started designing and painting chilkat-style blankets for use in potlatch dancing. 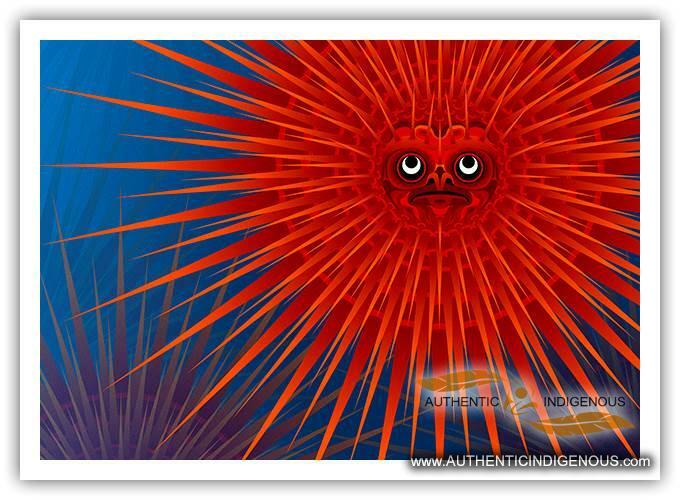 From these early self-taught lessons, he has tried to follow in the footsteps of his Kwakwa?ka?’wakw relatives in creating bold and unique representations that remain rooted in the age-old traditions of his ancestors. The ability to create and print most of his own work has allowed Andy to explore and express his ancestral artwork in a number of contemporary ways. 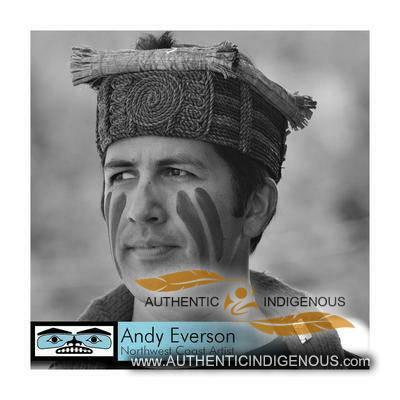 Andy Everson was born in Comox, BC in 1972 and named Nagedzi after his grandfather, the late Chief Andy Frank of the K’ómoks First Nation. Andy has also had the honour of being seated with the ‘Namgis T’sit’sa’walagame’ name of ‘Wam’xala’galis I’nis. Influenced heavily by his grandmother, he has always been driven to uphold the traditions of both the K’ómoks and Kwakwaka’wakw First Nations. 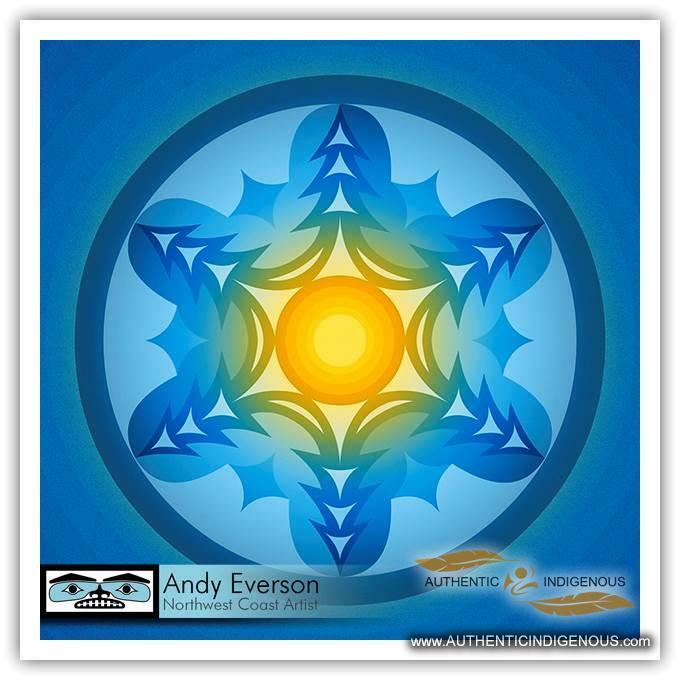 In this regard, Andy has pursued avenues where he can sing traditional songs and perform ceremonial dances at potlatches and in a number of different dance groups, most notably the Le-La-La Dancers, the Gwa’wina Dancers and the K’umugwe Dancers. Pursuing other areas of traditional culture has also led Andy to complete a Master’s degree in anthropology. Because the K’ómoks First Nation lies on the border between the larger Salish and Kwakwaka’wakw realms, his thesis focused on notions and expressions of contemporary Comox identity. His work in anthropology provided him with a background in linguistics which subsequently inspired him to create a company, Copper Canoe, Inc, that specialized in the creation of Aboriginal language media.